Amazon is seeking adventurous IT and maintenance professionals for our Amazon Web Services Team. These future Amazonians must hold a government clearance and be willing to go to one of three locations to complete specialized training to prepare for deployment in a data center region. It is expected that training will be completed over a duration of 6-9 months. Once training is completed, individuals will be relocated to the permanent location. 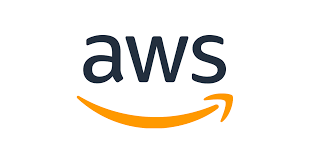 Amazon Web Services invites best-in-class IT professionals to join an elite team of data center technicians to build and maintain one of the world's largest information system infrastructures. Data Center Technicians are Amazon’s front line in operating reliable and secure infrastructure when it comes to handling the entire life cycle of a rack. This includes all tasks associated with planning and tracking capacity, rack deployment, rack cabling, hardware and software troubleshooting, and rack decommissioning. *This position requires that the candidate selected be a U.S. citizen and must currently possess and maintain an active TS/SCI security clearance with polygraph. · Able to relocate for up to 1 year for specialized training to prepare for a deployment location in region. · This position requires that the candidate selected be a U.S. citizen and must currently possess and maintain an active TS/SCI security clearance with polygraph.